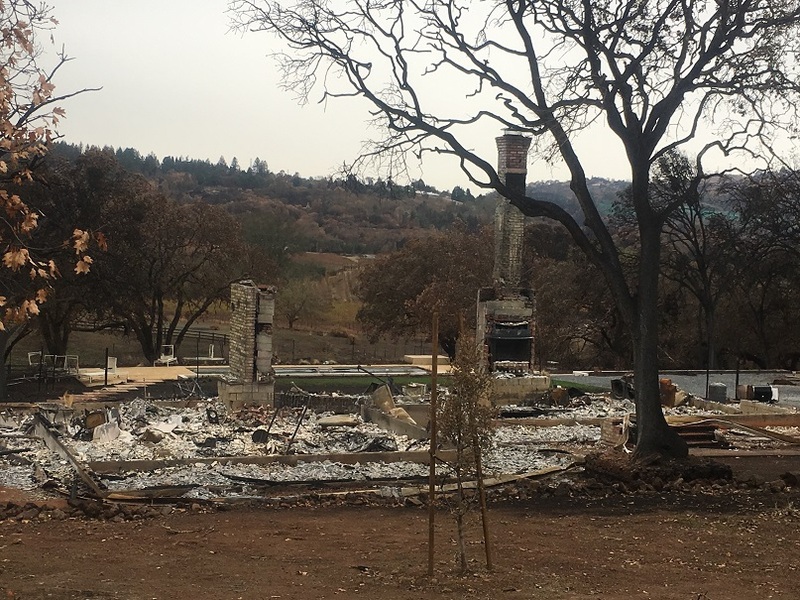 Global Assists with Cleanup After Wildfires - Global Diving & Salvage, Inc. In Oct. 2017, a series of wildfires swept through Northern California burning more than 245,000 acres across 9 counties, destroying approximately 8,900 structures and causing $9.4 billion in damages. 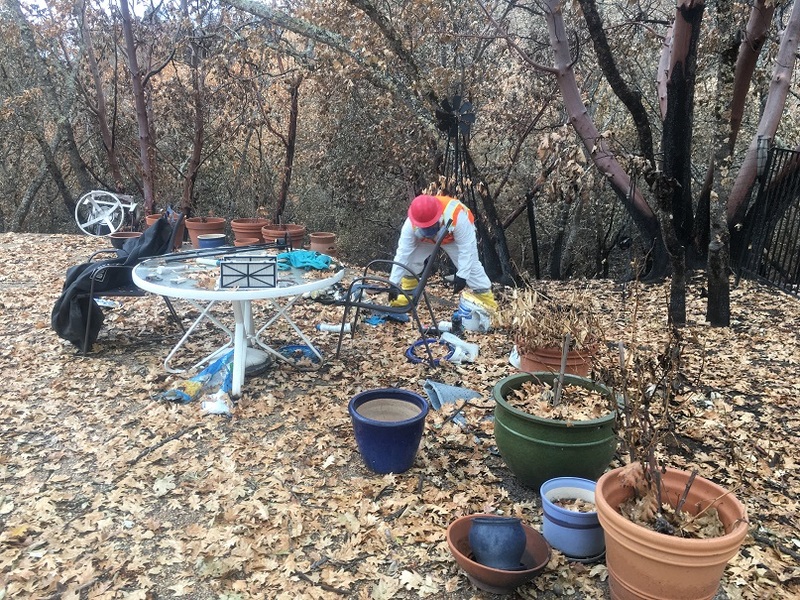 Once the fires were controlled and cleanup efforts began, Global was subcontracted by Environmental Quality Management, Inc. (EQM) to provide remediation assistance, removing household hazardous waste (HHW) from residential and commercial properties damaged by the fires. Global’s environmental team was assigned to work in the heavily damaged residential neighborhood of Coffey Park in Santa Rosa. Four Global Environmental Technicians acted as foremen, supervising 17 Tongue Point Job Corp students who were assisting with the first stage of the cleanup. Crews met each morning with EPA officials and EQM supervisors to map out a designated area and work plan. Dressed in Level C HAZMAT suits and full face respirators, the teams went from site to site removing propane tanks, car batteries, paint, cleaning products and other hazardous materials. HHW was collected and double-bagged, then transported to a central staging area where it was turned over for proper disposal. Although Global is best known for marine spill response, particularly in the Pacific Northwest, the company provides a variety of upland services. “The work we did after the California wildfires is a prime example of our emergency response and upland remediation services. We have a long-standing relationship with EQM, and Global is licensed and certified in the State of California to help with emergencies like these. It was great that we had the capability to help out after such a large scale disaster like this,” said Hynd.